Post-election interest was high on the agenda on Monday as news and analysis proved to be a big drawcard. Nine, Seven & ABC news were high for ABC’s line-up, including 7:30 second in its slot, and The Project up on last week. A Current Affair also won its slot nudging a million viewers. In the entertainment stakes MasterChef and Have You Been Paying Attention? were both winners for TEN, rating #1 and #2 in the Demos. Moving The Briefcase to a later start helped Love Child, and a primary channel win for Nine. In the end Seven won the night, thanks to its Wimbledon coverage lifting its multichannel share. Seven network won with 26.9% then Nine 24.6%, ABC 21.4%, TEN 20.9% and SBS 6.2%. Seven News was 1.22m / 1.11m for Seven then Highway Patrol (758,000 / 736,000), The Chase (756,000 / 488,000), Home and Away (754,000) and Movie: Guardians of the Galaxy (432,000). Nine News was #1 for Nine with 1.23m / 1.19m followed by A Current Affair (999,000), Love Child (726,000), 20 to One (659,000) and Hot Seat (644,000). The Briefcase was 303,000. Footy Classified was 146,000 in 3 cities. 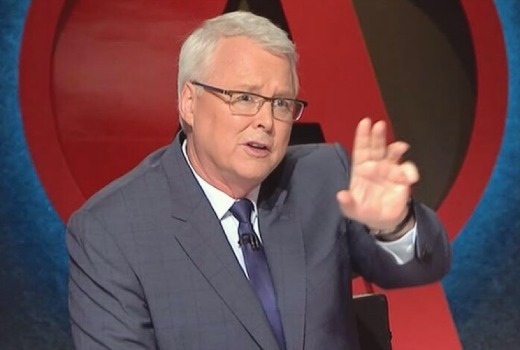 ABC News (908,000), 7:30 (890,000), Australian Story (762,000), Four Corners (705,000), Media Watch (702,000) and Q&A (676,000) was a solid line-up for ABC. MasterChef Australia (1.13m) and Have You Been Paying Attention? (803,000) did well for TEN. The Project was 715,000 / 528,000, TEN Eyewitness News was 580,000 and NCIS: New Orleans was 298,000. On SBS it was Michael Mosley: Wonderful World of Blood (274,000), The Island with Bear Grylls (172,000), SBS World News (160,000) and Tour de France (122,000). 7TWO’s Wimbledon coverage topped multichannels with 267,000.